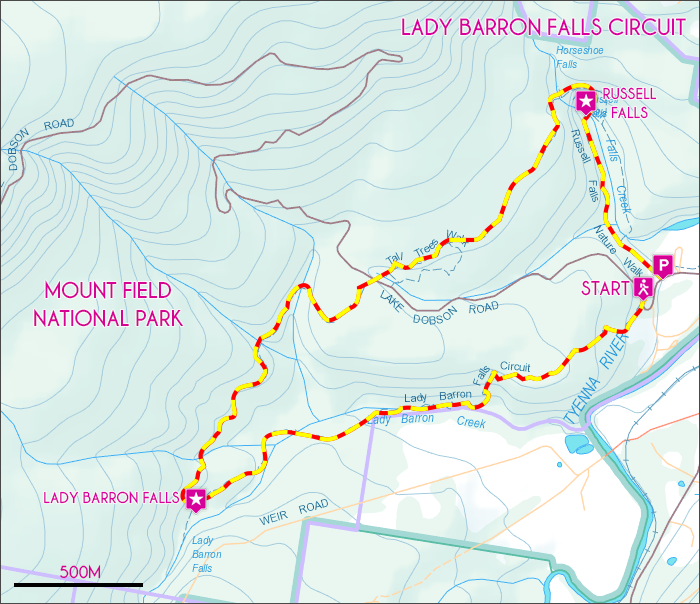 The Lady Barron Falls Circuit is a great short walk encompassing all the main points of interest within the lower section of Mount Field National Park. The walk takes in the beautiful Russell Falls & Horseshoe Falls, Tall Trees Walk and Lady Barron Falls. Taking just under 2 hours, this circuit covers an amazing array of landscapes in only 6km. View Google Map Directions The Lady Barron Falls Circuit is located 70km north-west of Hobart within the Mt Field National Park. From Hobart, head north-west on the Brooker Highway (A10) to New Norfolk. Once at New Norfolk, follow winding road of B61/B62, turning into Mt Field National Park on your right. 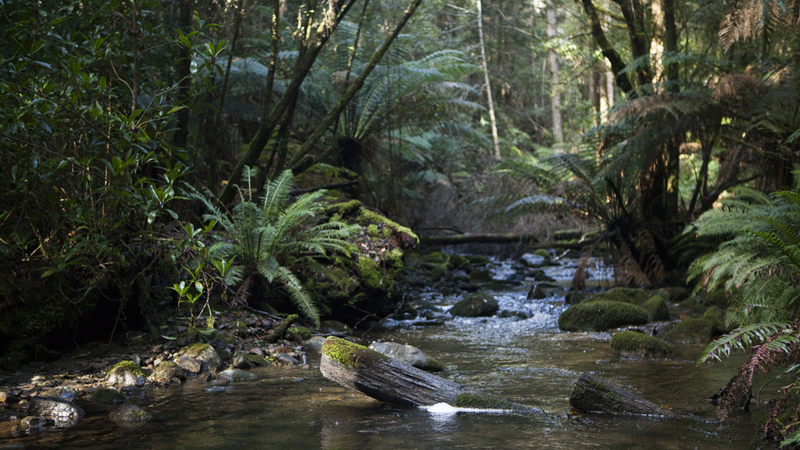 Starting directly behind the Mount Field National Park office, the trail first leads to Russell Falls. This first section is easy going, following a well maintained wheelchair access track next to a lovely creek flowing off the waterfall. 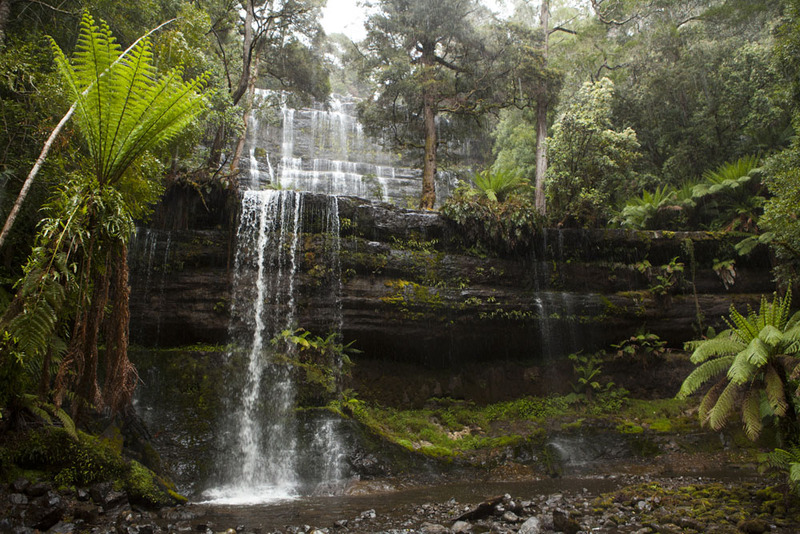 The falls themselves, a postcard example of Tasmania’s beautiful wilderness are stunning. From here you can make your way up a steep, but short, climb to Horseshoe Falls, another breathtaking waterfall. Crossing the bridge just before the falls, continue through the upper section of the rainforest for another 1.5km before coming the to Tall Trees walk, a easy 1km circuit within the Lady Barron circuit. 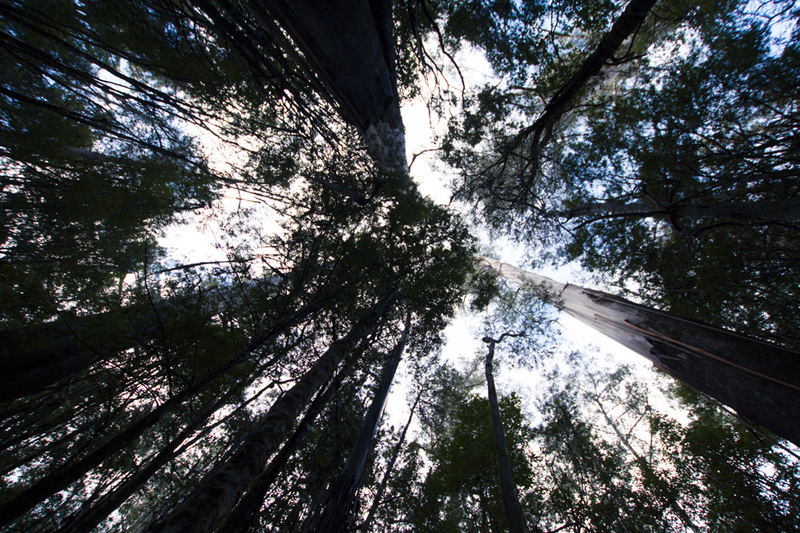 Huge swamp gums (Eucalyptus Regnans) are found here, the tallest flowering plant on the planet. Walking on, cross Lake Dobson Road and continue back into the forest. The trail undulates, coming in and out of the shadows of the towering trees. 1km in from the road, you will come to Lady Barron Falls, a split level falls offering some more secluded viewing to that of Russell Falls. The trail then heads back towards the main carpark with one steep staircase to be climbed midway. Your surroundings throughout the walk is enchanting, with multiple waterfalls to take in, beautiful mossy rainforest and some of the tallest trees in the world on offer.